All of this month’s first-class seats on China’s Southern Airlines’ Airbus A380 sold out within just three days of the superjumbo jet’s first flight, indicating that the Chinese public is eager to try out a luxurious flight experience. The airline said in a statement that other seats have also been popular, with more than 80 percent of the seats on some of the jet’s routes already sold. China’s first A380 has 506 seats: eight first-class, 70 business and 428 economy-class seats, the airline said. A first-class ticket from Beijing to Shanghai costs 4,760 yuan ($749), about three times the price of an economy-class ticket. The aircraft’s cabin comforts and spacious interior have impressed many customers, with pictures of passengers sprawled out on spacious seats and holding glasses of champagne on the front pages of several local newspapers. The airline said its first A380 jumbo is scheduled to fly between Beijing and Guangzhou until October 26, when it will start traveling between Beijing and Shanghai until October 29. The plane will be used on an international route after October. 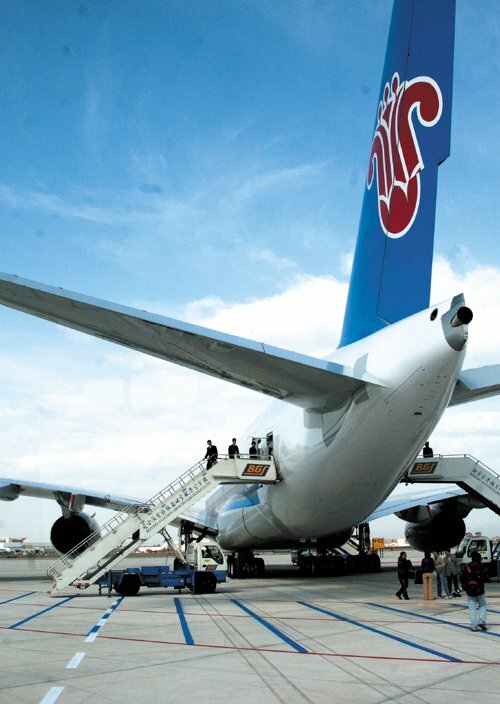 China Southern, the seventh company in the world to fly an Airbus superjumbo, has ordered five more A380s, the airline said.